Nike Nike Kobe 11 Elite Low "USA"
Despite the fact that Kobe Bryant will not play for Team USA in the Summer 2016 Olympics in Rio, his signature sneaker is still celebrating the occasion with the release of the Nike Kobe 11 Elite Low "USA." The sneaker features a white-based Flyknit upper with a split heel done in alternating university red and deep royal blue and alternating Swoosh accents. The sneaker also features a nod to the years that Kobe won gold medals with Team USA on the heel of the right sneaker. Release date is July 18, 2016 at a retail price of $200. 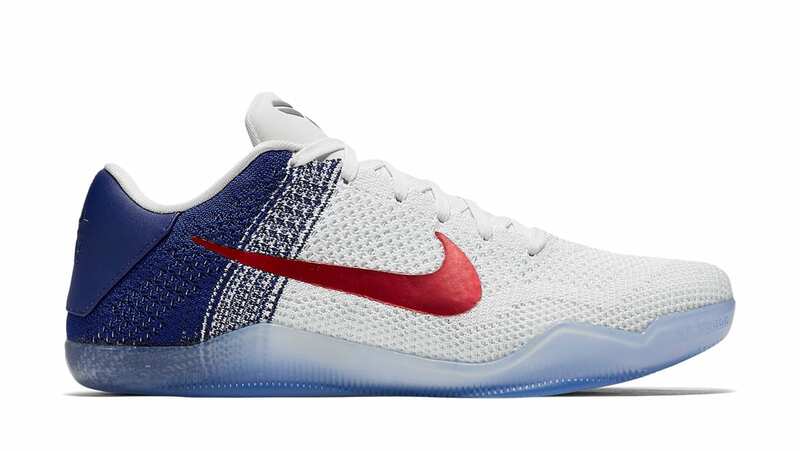 News Nike Kobe 11 Elite Low "USA"